I was looking for something rough on the surface of the paper that could press the stamp, but I bought it, but it was laminated and slippery. (I wanted you to describe it more easily) I stuck it from the top of the gum tape and thought that it could be used because it was described as if I also applied the letters, but the stamp etc. will start. This review is about item#35081523. Good point: It can be cut with hands. Can be superimposed. What I want you to improve: I want you to cut it almost straight when cutting by hand. Currently it cuts in the length direction and goes off straight even if it cuts carefully. Used when packing products of Pushkan Kraft paper packaging. Since it is not cardboard packaging, it is good to put a tape on the tape. This is cheap and purchased at a price that does not cost shipping fee. The time to go to the packing material store to buy, gasoline fee is not charged. I only use this type from a long time ago. As expected, a top manufacturer. It is recommended not to be sticky, comfortable feeling. 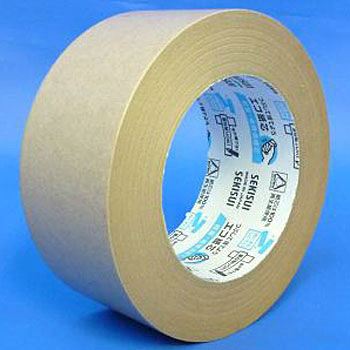 It has stronger adhesive strength than ordinary kraft tape, and it feels difficult to peel off. There are also adhesive strength, so you can affix it repeatedly so you are using it regularly. When using it in cardboard, cospa is better than cloth gum tape. Adherence is very common. It might be difficult to withdraw if it is strong in nature? Due to flexibility it is not peeling off. Because it is more expensive than a general flapper tape, I hope that more types can be pasted on more. It is very convenient to be superimposed and paste. It is often used for packaging. The dependency says this is the best.